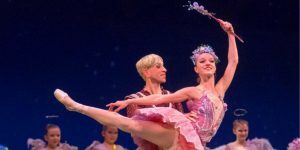 VERO BEACH, FL — December 30, 2018 — At age nine, Matthew Lovegood, ballet master at American Midwest Ballet, took the stage in his first-ever appearance in The Nutcracker. 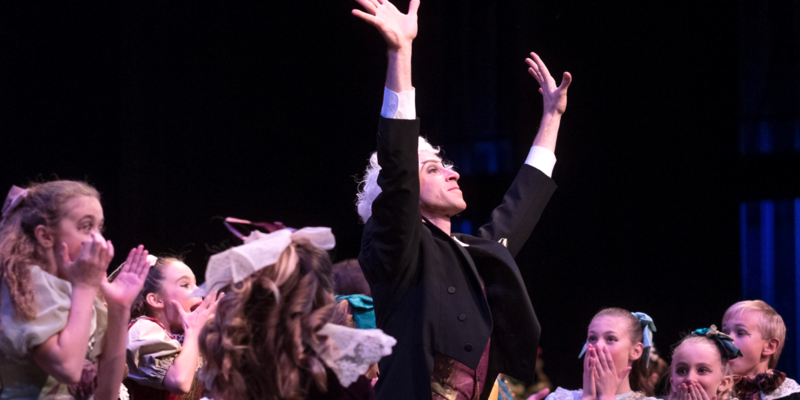 Thirty years and hundreds of performances later, Matthew is still performing in The Nutcracker. As he prepares to take the stage in our fifth city during this Nutcracker season, Matthew took some time between tours to reminisce with us about his Nutcracker journey. What was your first role in The Nutcracker? My first role in The Nutcracker was Clara’s brother, Fritz. My teacher, whom I idolized, danced the role of my mother in the party scene that first year — which I thought was the cat’s pajamas! Take a guess at how many performances you might have been in so far. Oh gosh; I’d say maybe 500, on the minimal side. As a kid with Lake Erie Ballet, we did several shows in Erie, PA each holiday season, and for several years we also toured to Cape Cod. We also performed that production at several regional locations in the Tri-State area. I was hired as a guest artist in The Nutcracker the first time for in Meadville, PA when I was fourteen. When I was a student at North Carolina School of the Arts, we did something like eighteen performances in 3 cities each season. In Miami, we did excerpts from The Nutcracker for many lecture demonstrations, outreach programs and school shows. I’ve been in Omaha since 2003 and have performed in many versions of The Nutcracker all throughout the area. I’ve also done guest appearances in countless productions from Tucson, Arizona to Jamestown, New York; from Indiana to California to Hawaii… and on and on! What is your favorite role in The Nutcracker? I’ve enjoyed aspects of every role I’ve had in all of the various productions, but overall my favorite would be Snow King. The music and setting make it so magical! Is there a favorite role that you have never danced before in The Nutcracker? I have danced every role in traditional story lines of The Nutcracker, except Clara and an angel. And yes – since I can dance en pointe and have done gender-bending ballets – I have also been the Sugar Plum Fairy! How are you celebrating the holiday outside of dance? I have been on tour for most of the season and traveled to Vero Beach, Florida on Christmas Day to help get this production of The Nutcracker ready; but Christmas Eve, I got to spend at home with my husband. One year in the battle scene, I wore a huge Nutcracker headpiece complete with an inner helmet, fabric, and lots of padding. It was difficult to see or hear in that costume. During one of the performances, I thought I had gone deaf because I suddenly couldn’t hear the music anymore. I panicked, but just kept dancing. The other dancers on stage — the mice, the soldiers, the Mouse King — followed my lead and we all just continued to dance in silence. Then, towards the end, I realized that I could hear our swords clinking together. A fuse down in the orchestra pit had blown; the musicians could not read their music, so the conductor instructed them to stop playing. They quickly fixed the problem after bringing the curtain in just before the reveal of the Nutcracker Prince — and the show resumed. I had saved the day and didn’t even know it!